Well as the blog hasn’t been updated in a while, I thought I would take some time and post an update. The car was sold the tail end of 2016 as an unfinished project. progress stalled on the car and never really got going again. The car is still going, recently had a handbrake module replaced. Another repair carried out by land rover was to resolve a recall issue of oil in the brake system. This had already been done once but the issue re occurred, so they eventually sorted it again. 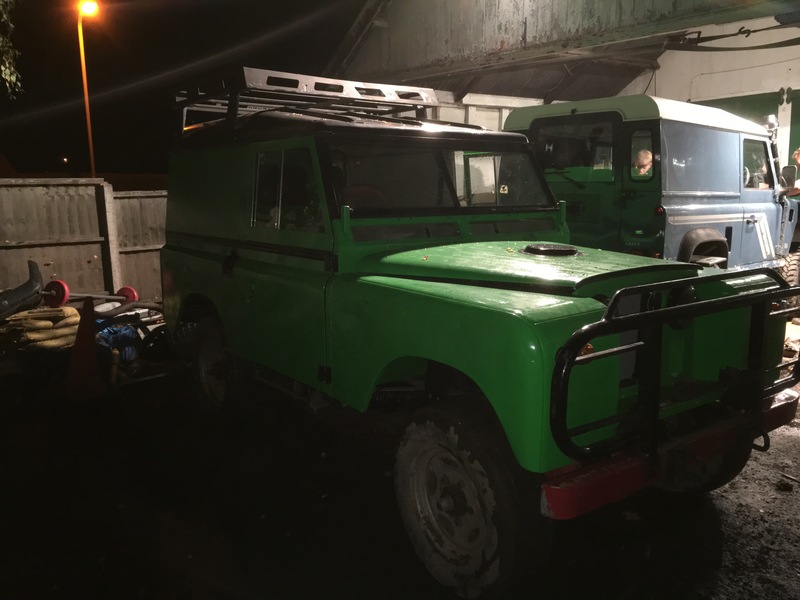 Since selling the Series 2 Jordan has also purchased a Disco 2 4 ltr V8. Initially it was sold as the previous owner had put diesel in the tank and tried to start it so some basic work was carried out the car is now taxed and tested and back on the road. Following a change of job and moving away in May 2016 I don’t have day to day involvement with my car any more, but it is still going driven by my dad on a daily basis. 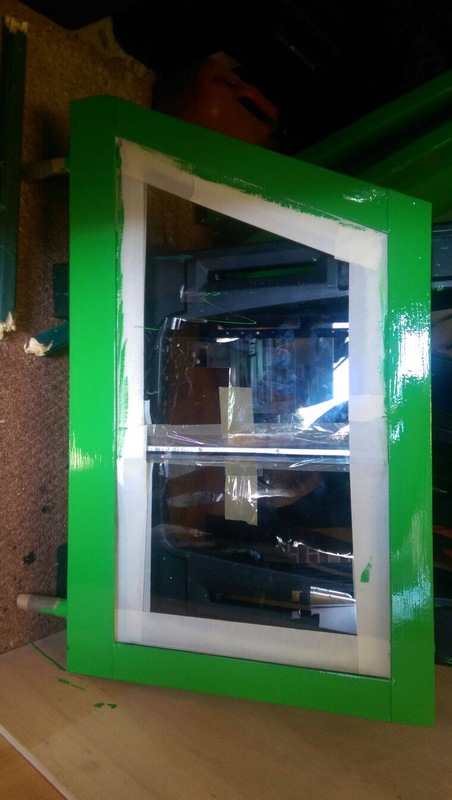 At the end of October 2016 we made a small addition to the car to allow us to sleep inside it while going to watch Wales Rally GB, this involved some support bars and sheets of marine ply. Made for a very handy night out kept out of the elements, will post some photos of this later. Other issues at the moment with the car is the Wipac LED side lights keep blowing fuses up to 15A so more investigation is required. No change on this yet the car is still as it was when picked up. Still owned but currently not used. The car previously owned by Jordan is now mainly used for spare parts. 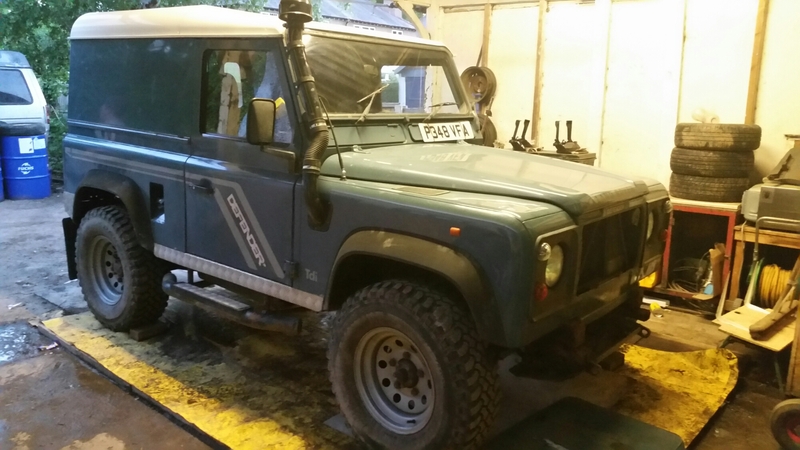 A TD5 Auto car which has some off road modifications such as tyres bumpers, LED light bar. Kelsey and Pete still use this car, recent additions of some 5 bar tread plate, apart from that the car is mostly used on road. Following the rebuild not heard of any more issues with the car, still see it driving around. 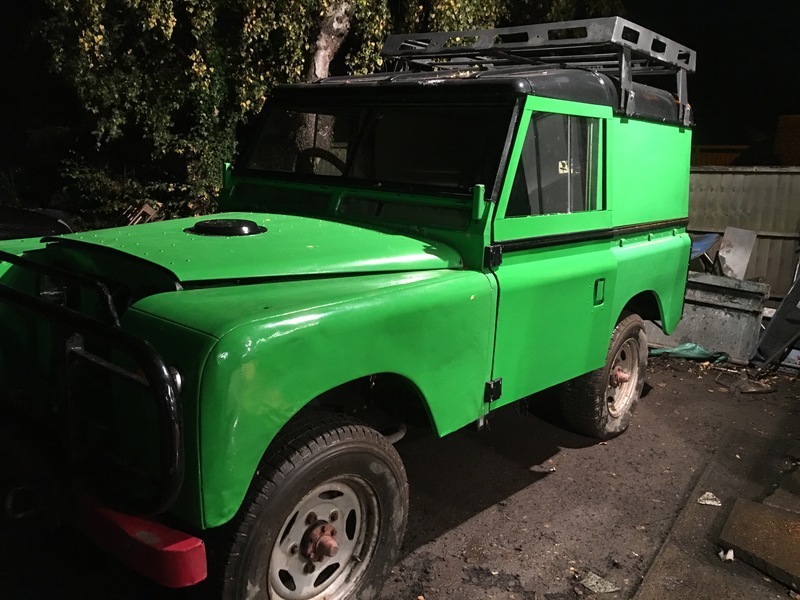 This entry was posted in 1966 Series 2, 1977 Series 2, 1977 Series 3, 1983 Ninety, 1986 110, 1993 Discovery 1, 1996 300TDI 90, 2001 TD5 Disco 2, 2006 TD5 90, 2006 TDV6 Disco 3 and tagged Land Rover, Progress, rebuild, Update, Wirral on January 9, 2017 by landyrebuilds. 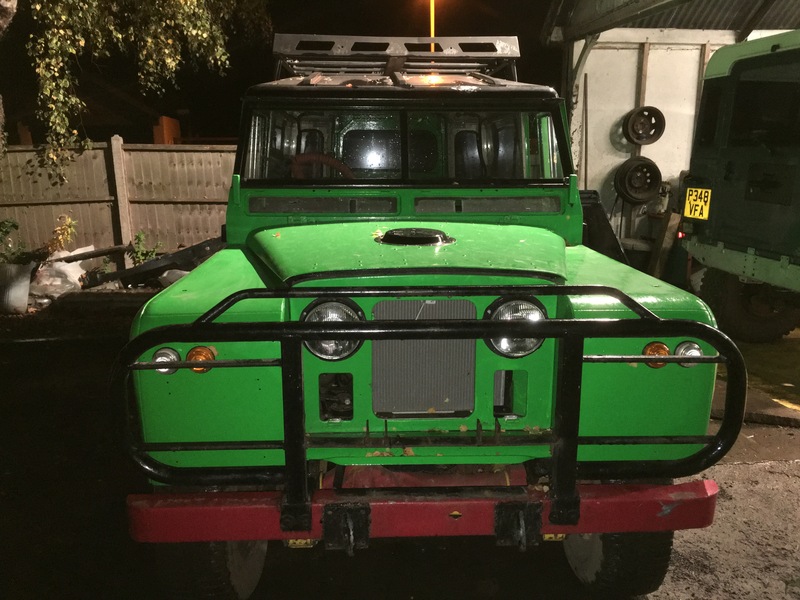 This entry was posted in Uncategorized on December 16, 2015 by landyrebuilds. 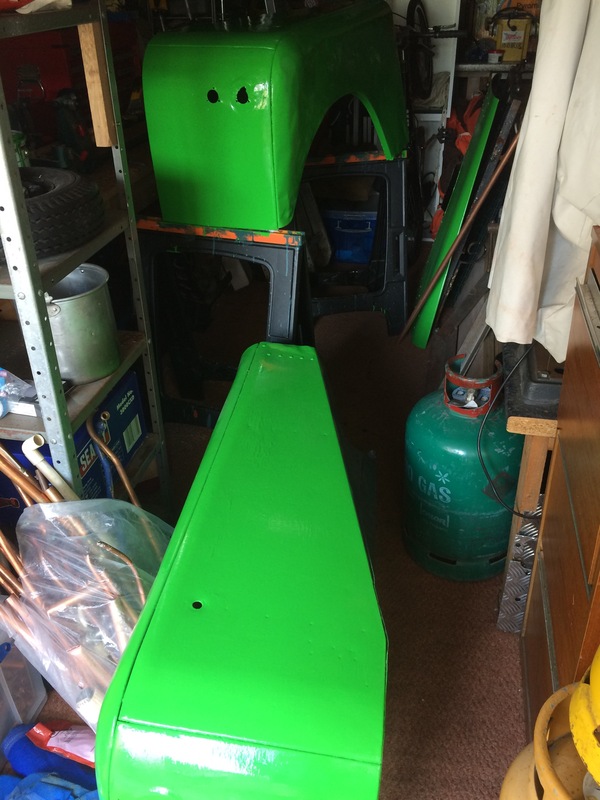 Well a long due update of this build, its been many months of being sat in the corner gathering dust so jordy booked himself a week off work and set to work to try and get the green machine a few steps closer to being finished…..
Then we will fit the tailgate. 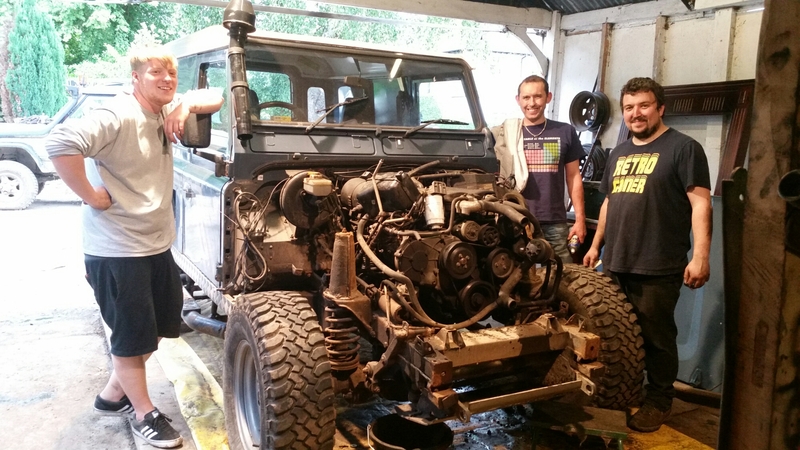 This entry was posted in Uncategorized on August 14, 2015 by landyrebuilds. Well today included more progress on Tom’s car, we have now removed the front end bodywork from the car. We are now in the process of removing all the other body to chassis fixings and the other connections such as wiring and heater controls. Hopefully we will be able to make more progress over the rest of the weekend and also taking and uploading some more photos. Next steps will include lifting the body as well as fitting some new parts to replace some of the more… delicate… parts of the car. Updates to follow! 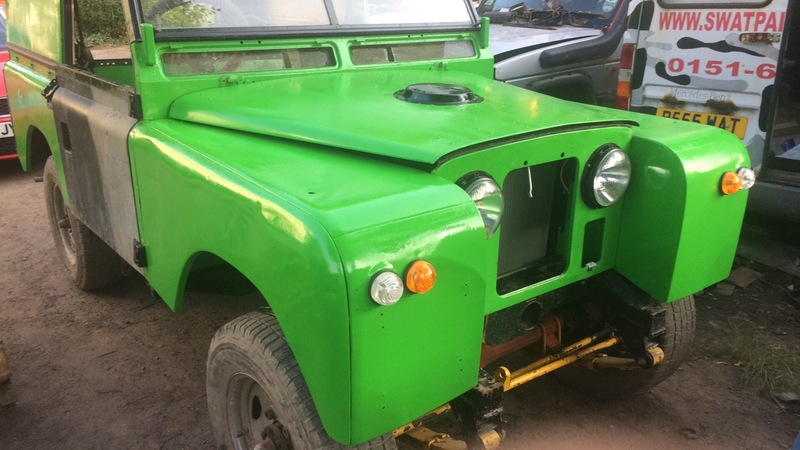 This entry was posted in 1996 300TDI 90 and tagged 1996 Defender 90, bodywork, future, Land Rover, Land Rover Ninety, Progress, rebuild, Wirral on July 18, 2015 by landyrebuilds. Well last night we finally got round to starting work on changing Tom’s chassis. 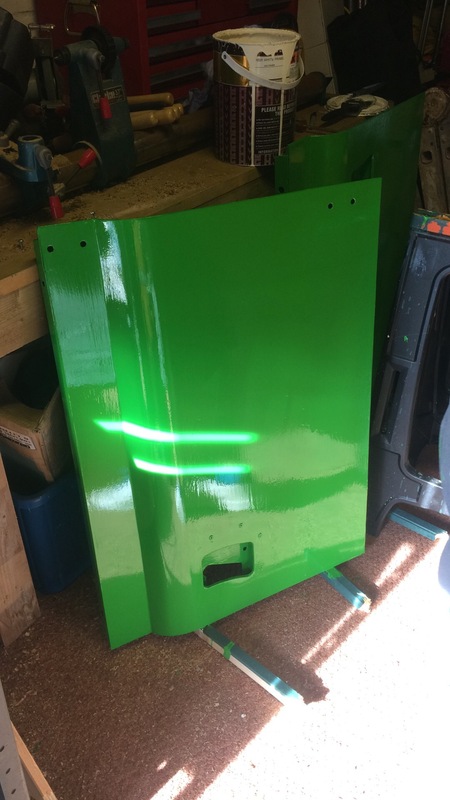 This time round we are going to try and take the body off the car in one piece so that we haven’t got to worry about lining all the panels back up at the end of it. 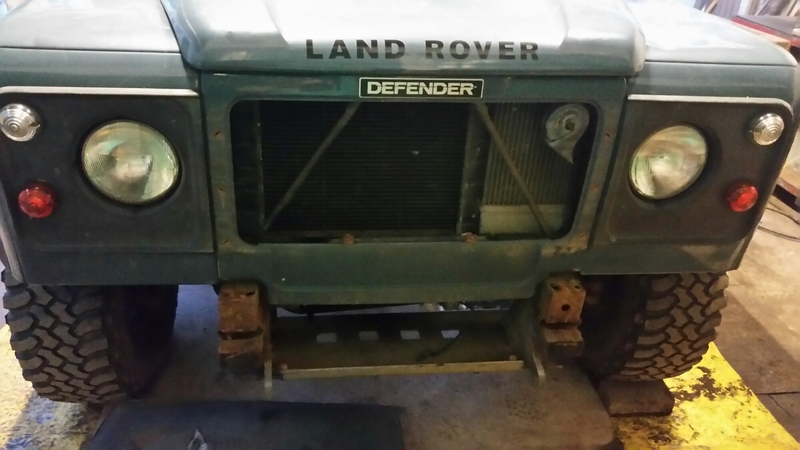 To do this we have got 3 editions of Land Rover Monthly, which handily show the the process using a 2 post ramp to remove the body. while we are reliant on human power we think it can be done. 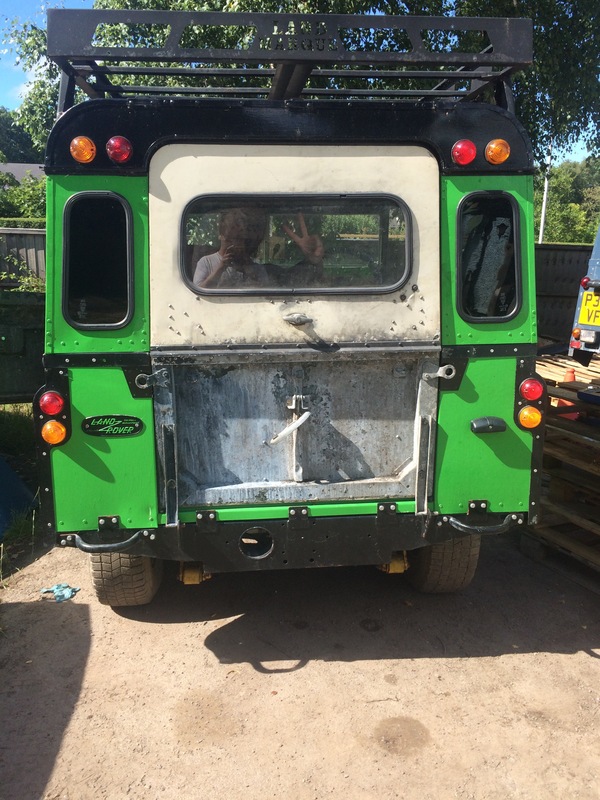 The next steps will be undoing the other connections between body and chassis such as fixing bolts electricals and ancillaries then looking to remove the wings and bonnet to make the body work removal easier. 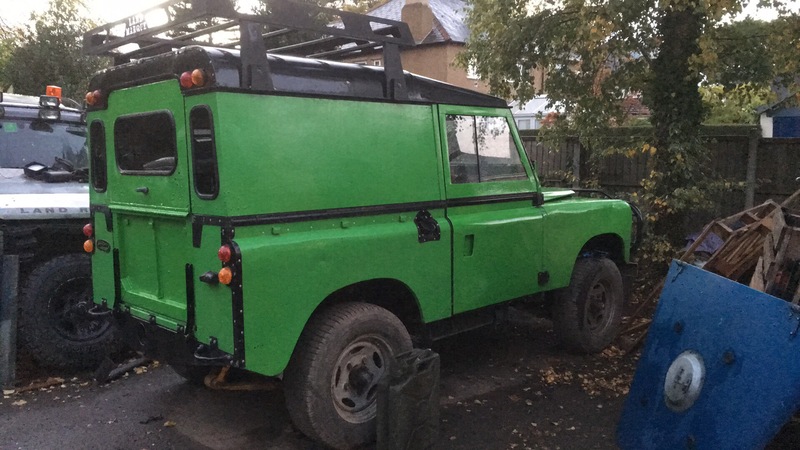 This entry was posted in 1996 300TDI 90, Bodywork and tagged 1996 Defender 90, bodywork, Chassis, exhaust, future, galvanised, Progress, Strip Down on July 1, 2015 by landyrebuilds. 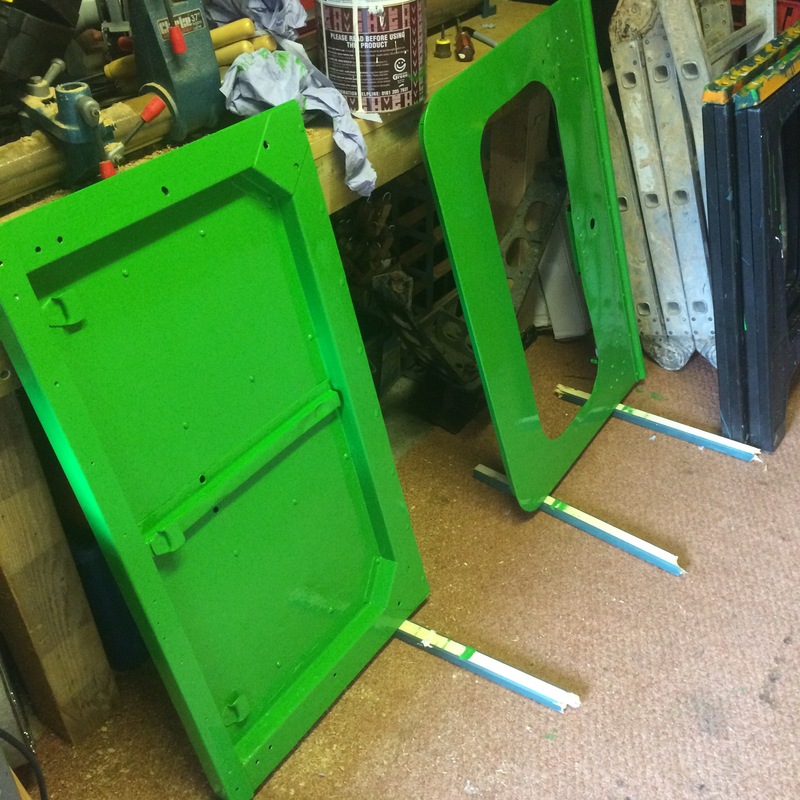 Well Tuesday 9th June marked the start in our next journey, the delivery of the chassis for the 300tdi 90. Over coming months we are going to be doing the chassis swap on this car and hopefully documenting it the blog. Keep an eye out for progress and photos. The plan for this one might be to lift the body off in one go so we all need to hit the gym a bit. This entry was posted in 1996 300TDI 90, Uncategorized and tagged 1996 Defender 90, bodywork, Chassis, future, galvanised, Land Rover, Land Rover Ninety, Parts, Progress, rebuild, Start, Wirral on June 10, 2015 by landyrebuilds. Well another quick update, recently we have had a couple of little issues with Daisy the TD5 90, it all started with a bit of wet weather, when trying to drive the engine warning light came on and throttle response stopped. After using diagnostics the fault showed up in the computer as Driver Demand, after a bit of looking we thought it was the EGR valve, a bit of inspection showed that it was a bit clogged so we fitted an egr blanking kit. that seemed to do the trick for a little while. Then a couple of weeks later the same issue happend again! unimpressed we decided to go to the next possible cause the accelerator pedal, we had purchased one off ebay at the same time as the EGR valve so put it back in and the fault remained the same. We noticed that the fault was caused when pressing the clutch, so replacement of the switch on the clutch pedal with MSK100050 [MSK500010] seems to have sorted the issues for now. 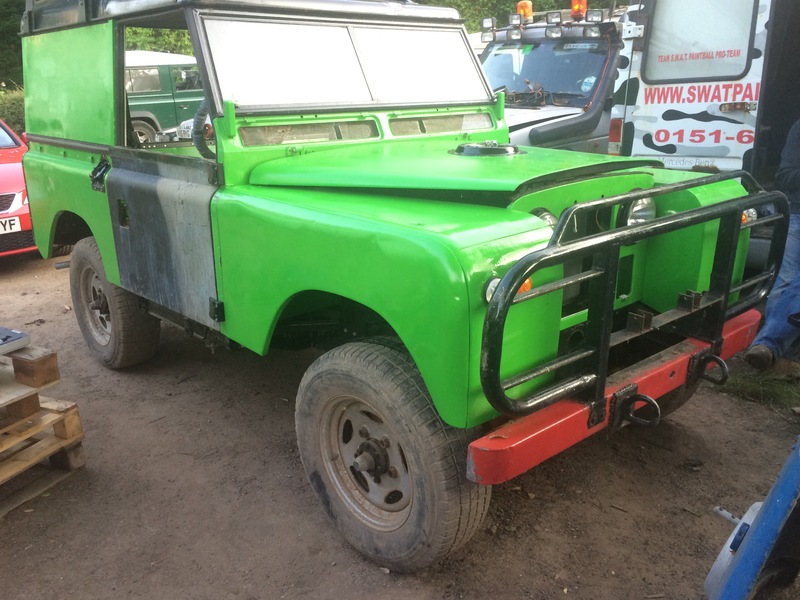 This entry was posted in 2006 TD5 90 and tagged annoying, diagnostic, driver demand, EBay, Land Rover, Land Rover Ninety, Parts, Progress, Wiring, Wirral on June 10, 2015 by landyrebuilds.